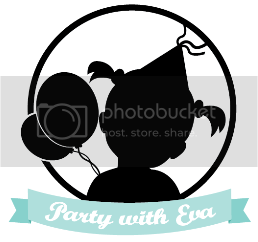 On the simple side, we customize party favors for birthday parties of your little ones. On the more complex side, we can work with your preferred theme to create a party experience that friends and family will remember fondly. This can include creating a one of a kind photo booth complete with props, a fully decorated party table with favors, loot bags and snacks, room decor according to theme and much much more! How early in advance should enquiries be made? The earlier the better! This gives us the time to source and create samples of your party items. For straightforward orders of party favors, we request a minimum of 3 weeks' notice. Parties requiring set-up, decoration and manpower require a minimum of 1 month's notice. To ensure that we are fully committed and focused on every party that we take on, we do not take multiple bookings for the same date. For orders of customized favors only, drop us a mail or give us a call and tell us how many pieces of which item you wish to order, together with your preferred collection date / time. Do you provide entertainment services like face painting, balloon sculpting, etc? Alas, we are not professionals in this area but we will be more than happy to source them for you. What about the all important birthday cake?! The selections available out there are endless, go look around! If you really need help or have no idea where to start looking, we will be happy to offer some suggestions of personal faves. Besides kids' birthday parties, do you also customize party favors for weddings, adult birthdays and other special occasions? If time and resources permit, yes, we would love to be of service. Help! My party is next week! Do you accept last minute orders? We may accept last minute orders if resources permit. Items and services are subject to availability. Please call or text +65 9695 6305 / +65 8118 5603 for last minute orders.